ZOCOR is indicated as an adjunct to diet for treatment of hypercholesterolaemia. Prior to initiating therapy with ZOCOR, secondary causes of hypercholesterolaemia (e.g. poorly controlled diabetes mellitus, hypothyroidism, nephrotic syndrome, dysproteinaemias, obstructive liver disease, other drug therapy, alcoholism) should be identified and treated. ZOCOR is indicated in patients at high risk of CHD (with or without hypercholesterolaemia), including patients with diabetes, history of stroke or other cerebrovascular disease, peripheral vessel disease, or with existing CHD to reduce the risk of cardiovascular death, major cardiovascular events including stroke, and hospitalisation due to angina pectoris. These effects do not replace the need to independently control known causes of cardiovascular mortality and morbidity such as hypertension, diabetes and smoking. ZOCOR is indicated as an adjunct to diet in adolescent boys and girls who are at least one year post-menarche, 10-17 years of age, with heterozygous familial hypercholesterolaemia (HeFH). Prior to initiating therapy with ZOCOR, secondary causes of hypercholesterolaemia (e.g. poorly controlled diabetes mellitus, hypothyroidism, nephrotic syndrome, dysproteinaemias, obstructive liver disease, other drug therapy, alcoholism) should be identified and treated. Peach coloured, oval, film-coated tablet, one side engraved 'MSD 735", the other side plain. 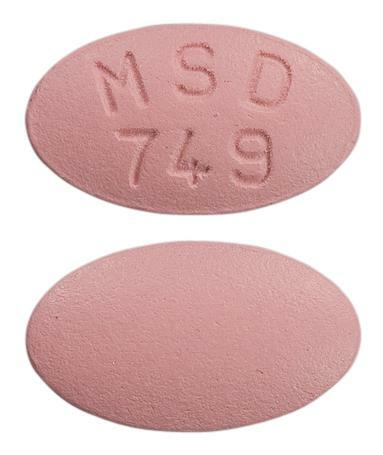 Brick red, oval, biconvex, film-coated tablet, one side engraved with "MSD 749", the other side plain. Tan coloured, oval, film-coated tablet, one side engraved 'MSD740', the other side plain. A buff coloured, oval shaped, film-coated tablet marked MSD 726 on one side and ZOCOR 5 on the other side. 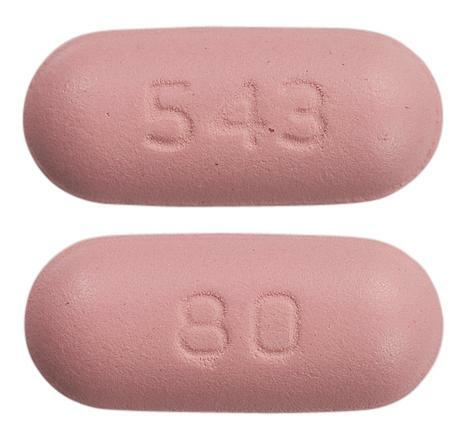 Brick-red, capsule shaped, convex, film coated tablets coded 543 on one side and 80 on the other.